On Monday, October 26th, Justice Adolph Lucas found 26-year-old Jason Reyes guilty for the death of island resident Lionel Pinelo on November 5, 2010. Reyes had been initially charged by San Pedro Police for murder, but after court deliberation, Justice Lucas decided to lessen the charge to manslaughter in a trail without a jury. Justice Lucas’ reasons for lessening the charge was that while he is certain that Reyes inflicted a stab wound on Pinelo, it was not intended to cause his death and therefore it was not a murder act. The police incident report, indicated that the incident occurred in front of Rainbow Star Bar on Laguna Drive. Primary witness Milton Chan testified before the court that while he and some other men were ‘hanging out’ in front of the bar, they were approached by a group of men, one of whom broke a bottle on the edge of a golf cart. Chan proceeded to state that Pinelo approached Reyes and began speaking to him in a friendly tone. But Reyes instead came toward him and swung at him, after which Pinelo began holding his side while sitting on the golf cart. Chan also indicated that he did not actually see the moment of the attack. Other witnesses for the prosecution were Luis Campos and Pedro Campos, who claimed to have witnessed the stabbing. Pinelo sustained a stab wound to the left side of his chest and was taken the Dr. Otto Rodriguez San Pedro Polyclinic II for treatment. Due to the severe loss of blood, Pinelo passed away the following day. 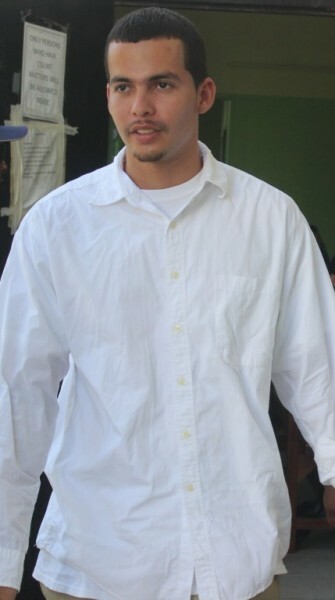 Reyes was once again remanded to the Belize Central Prison to await sentencing, scheduled for Monday, November 2nd.